How can I print out the Communication options in SoMove? Wants to print the Communication options in SoMove but when they try to print the settings, Communications are not listed. 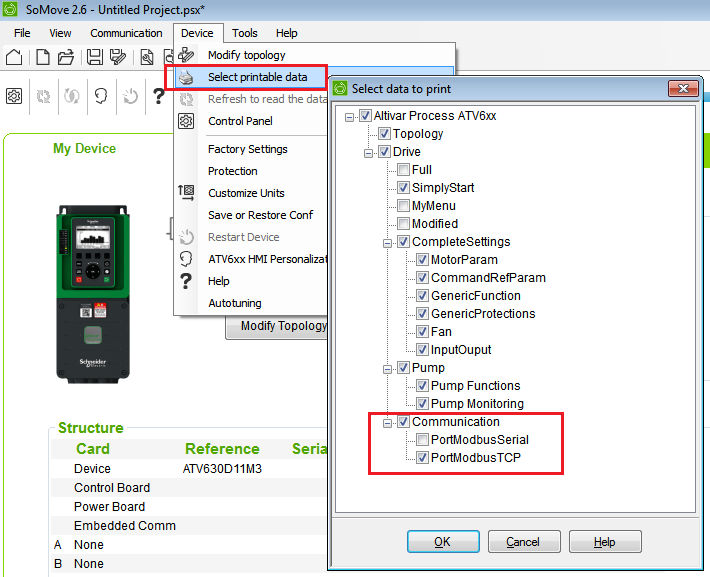 In the SoMove program go to the Device menu and choose Select printable data. Under this menu you can add Communication Parameters and also add or delete other menus.